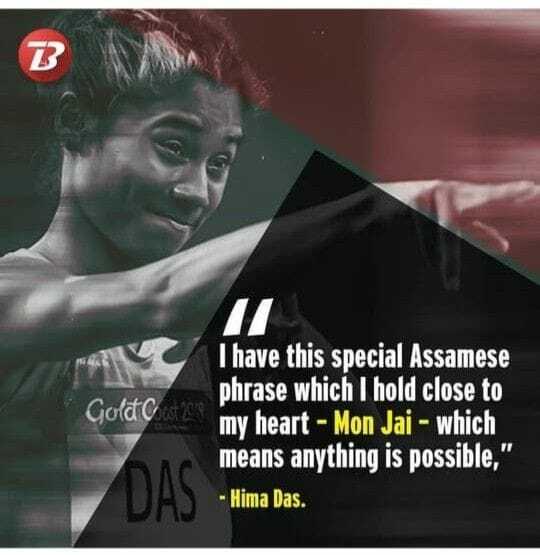 Assam’s Hima Das created history by winning the gold medal in the women’s 400-meter event at the IAAF World U20 Championships held on Finland. Hima registered a time of 51.46 seconds in the final at the Ratina Stadium to become the first Indian athlete to win gold in a world championship across all age groups. She had done well in the earlier rounds as well, winning Heat 4 with a time of 52.25 seconds. She emerged on top in the semi-finals as well, winning her race in 52.10 seconds. Historic! Congratulations Hima Das for winning India’s first Gold at a global track event in Under – 20 World Athletics. Nicely done ? ?